it looks so healthy…love it!! 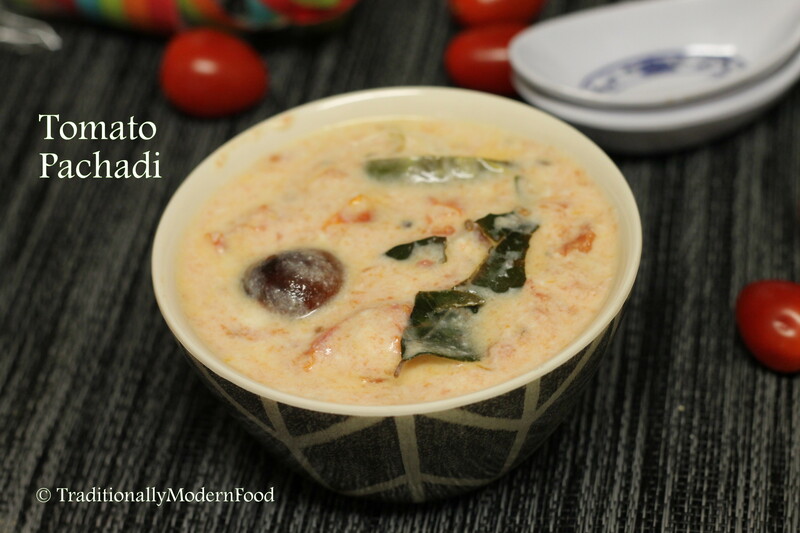 Hi Vidya, I love mango and pineapple pachadi, I can try with recipe with tomatoes. Wow… that looks divine! hugs. a new & interesting recipe……must try. Wow perfect accompaniment for the upcoming summer days…. 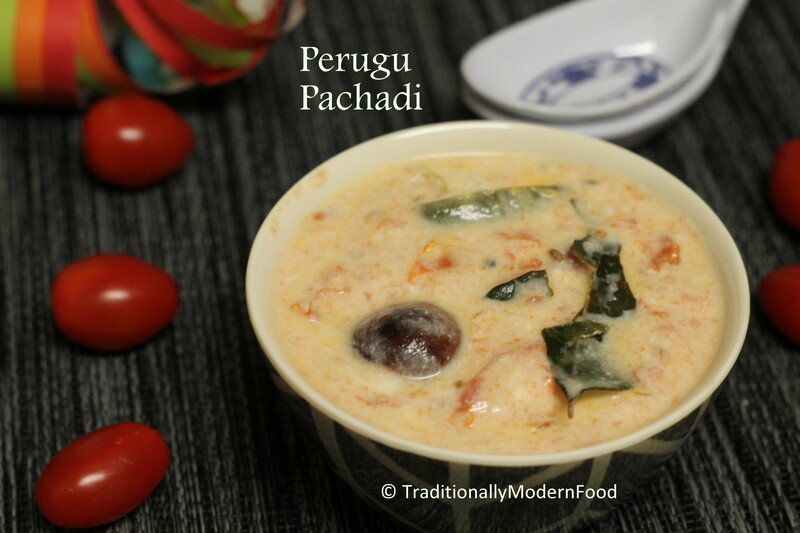 BTW, Perugu Pachadi just means Pachadi with Perugu (Dahi) aka Raita aka Thayir Pachadi. Hey thanks ,I got it as my lunch menu 4 today,lets hope i can also make it tasty. it was good but but i couldn’t make it perfect. thanx,but in that dish something went wrong 4 me which i couldnt notice,but though it was good..